Believe me, getting introduced at a family re-union as the animal whisperer gets old quick, but there are some excellent and surprising bonuses that come with developing your ability to communicate with animals – and they are well worth the weird looks. You see the workshops around, you see the business cards and maybe you’re still in the “I’m not super sure that this stuff isn’t a load of baloney” camp. Healthy skepticism is an excellent thing, because some of this spiritual stuff is just a big load a crap with sprinkles on top, and you want to know that you’re not going to be kidnapped by aliens and brain-washed, all while having to listen to scratchy record of Abba on repeat. I get it. I was once you, although my skepticism was a tad beyond healthy. It veered towards the fervent science-only zone – being raised by a father with a PHD in Geophysics can do that to a person. So, first, let’s take all of this down to it’s foundation. What is this animal communication thing so many people are talking about? Does it work? And how is it helpful? 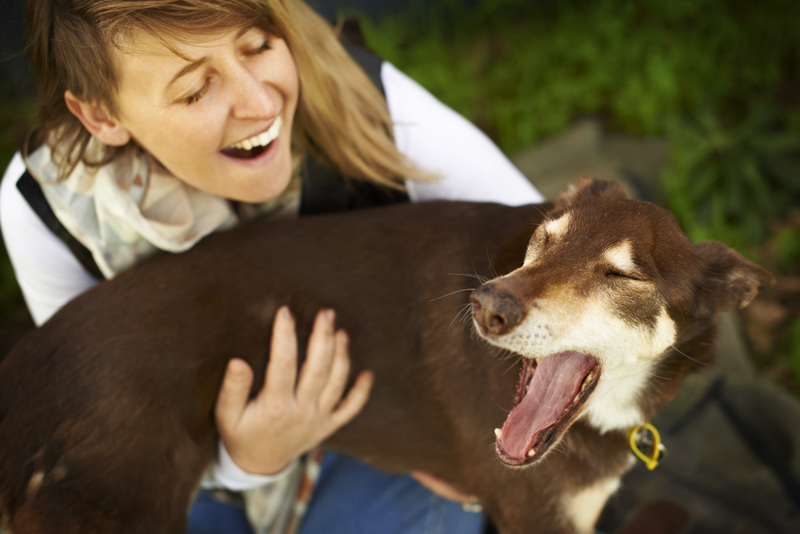 Here to help me explain and to share her top ten awesome reasons to learn animal communication is my dear friend and animal communicator extraordinaire Laura Bird of One Spirit Australia (that’s her and her dog Ruby aka Roo in the picture to the left). Before we got all caught up in our superiority and technology we too had to listen to the Earth, Animals and natural cycles to survive. This natural instinct or intuition is the place where animal communication happens and it’s a part of our brain that most of us don’t exercise in our busy modern lives so it atrophies. Animals are always doing what comes most naturally to them and doing it without shame or cultural constraints. That’s why we love to hang out with them. Lately the trend in both animal and self care has been towards a more natural approach. Whether it’s raw food, learning natural horsemanship or a paleo diet, we are recognising that we evolved to live a certain lifestyle and are taking steps to accommodate those needs into our and our pets lives. Why? Because it’s better for us. Because our bodies and minds need certain things and without them we get stressed. The ability to listen to nature, make sense of and feel deeply empathically connected to life on this Earth is a vital ingredient missing in many of our lives. When we engage in this type of work or brainwave frequencies change. We don’t pick up the information in a highly alert way, more in a half daydream state. As adults, we often lose this as part of our daily brain activity and as a result can find it hard to move between wakeful and sleeping states.This in between Alpha brainwave is really important in making the transition into sleep as much as it is for intuitive “receiving”. As an animal communicator I spend a lot of time in this in between frequency and asa result find it much easier to transition into being fully awake and deeply asleep. Over the years my dreams have become more intense and I am able to control them. Trust me this is super fun and deeply recharging. I’m going to be controversial here and say that your intuition and imagination are the same thing. What?!? I hear you say. That means I could just make this s*#@! Up?!? Ummm well yeah… At first you might start making stuff up and it will be more about your unconscious mind having a sort of symbolic brain fart (and may not have much to do with what your poodle Ralph actually has to tell you) but after a while the more you get creative and loosen up you will start to get into an intuitive groove. Have you ever wondered where your imagination comes from? Why, if you were to create a story, you would come up with that story from all the infinite possibilities? Well nothing is coincidence and art (or creativity) imitates life. The creative right side of the brain sees the world a little differently, but generally is more intuitive and has some pretty interesting perspectives on what is going on that might not get a voice usually. Our left brain likes things to make sense and for a lot of us runs the show or sensors what the right brain contributes to make it “fit”. Letting the old right brain off the chain and getting the imagination involved is often not just a vital key in animal communication but an added benefit after the fact. We can all use creativity as a force for good in our lives. Do you find meditation tedious, boring and difficult? Me too. But animal communication has all the vital ingredients to give you that meditation high with more interesting subject matter. As mentioned above it changes your brainwave state. Especially when you are learning, you are taking quiet time out to practice. Some of the exercises include breathing, visualization, stillness, self awareness… It is a communion with self and the universe and improves your brain function. Viola! It is a communion with self and the universe and improves your brain function. Your intuition doesn’t magically come from some spiritual third eye opening. It comes from your gut and your ability to trust it. Many of us have intuitive flashes or feelings that never get vocalized or acted on. If we don’t honour those hunches or feelings we can never validate or build a trusting relationship with them. Learning animal communication is a wonderful way to dive into the unknown with with our hearts opened by cute furry critters and experiment with some of that stuff. Whether you practice animal communication or not your animals are already attuning you to this. We as their guardians have an uncanny way of knowing something is wrong even before the vet does, and they certainly intuitively tell us if they want the toilet or a treat. How do we know the difference from the same puppy dog eyes expression? We’ve trusted our gut and had it validated many times. Especially for women in this day and age trusting our gut feelings and our ability to act on them is a powerful natural advantage that can be and should be expanded on. Ok Hippy time! Animals are healers and teachers. They do this every day with or without our conscious awareness or acknowledgement. When we become aware or take the time to notice it the results are exponential. Understanding is permission to heal and move on and understanding is the gift of making the time to listen. The other really interesting part is that in going through the self awareness process of how to be the best possible listener, free of human cultural belief systems, free of judgement and bias we often experience self healing. 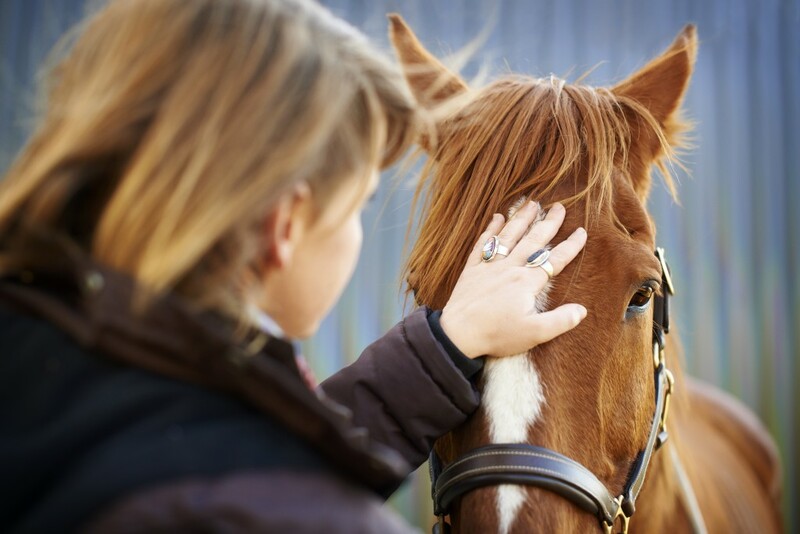 I believe this healing exchange which can be physical, emotional, and spiritual is almost always a 2 way thing between our animals and ourselves and comes about when we see, hear and take the time to feel the connection and contract between us. Giving honour to my furry teachers and healers is the greatest gift of love I can give them and is a way to more deeply receive their gifts in my life. Giving honour to my furry teachers and healers is the greatest gift of love I can give them and is a way to more deeply receive their gifts in my life. Hanging out with animals and learning new stuff is the ultimate way to let go of the need to control things. They know exactly how fast or slow you are ready to go through any learning process, will hold space for you not to skip any step or rush ahead or do the human control thing. You never know what’s going to happen, you never know how things will turn out or even if you achieve what you want and you will come up against all the barriers and frustrations that limit you. 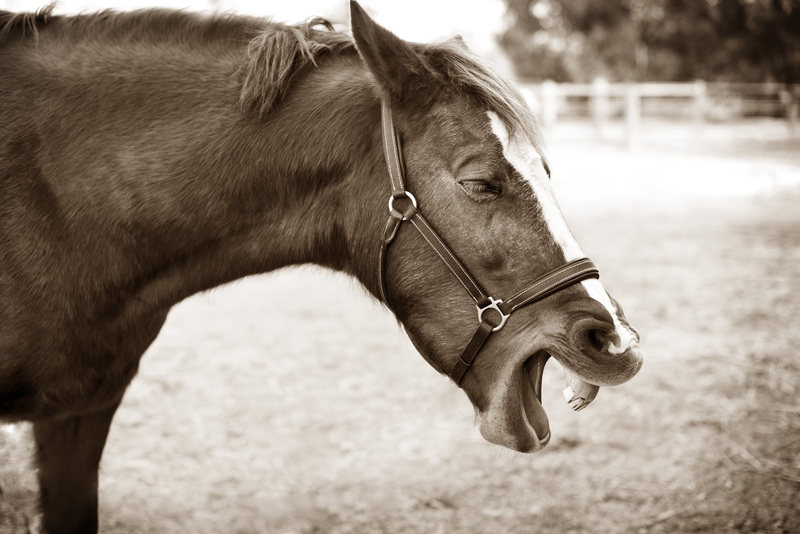 They truly are four legged personal development gurus waiting and holding space for your “Ahah!” moment and breaking you through to a new way of being in flow with life. Animals strip away the adult in us all and take us back to a time in our life where connection, love, fun and affection are easier. Almost all children’s stories include talking animals and for some of us (me included) I really did talk to animals as a child. Well I can tell you it is possible now. I hear them loud and clear and many of my exchanges are hilarious. My cat Toby especially like to say cryptic things that make no sense just to have me ponder them out for weeks seeking the deeper meaning before realizing he was f@#$%ng with me as only a badass cat can. So bring a little magic fun and frivolity back into your life and allow yourself to be a grown up that really believes talking to your pets is possible. Trust me, if you do they will prove you right more often than not. Bring a little magic fun and frivolity back into your life and allow yourself to be a grown up that really believes talking to your pets is possible. Ok so there had to be one of these that sounded a bit new age. It was either that or “contribute to an enlightened future” to bring it all home. But seriously, we are all connected. Listening, feeling that connection and truly understanding that oneness in the way that is possible by receiving wisdom and healing from the animals that cross our paths is one way to be the change you want to see in the world. We are all different and unique, as species and individuals, but we are also inexplicably linked. Making your daily exchanges with your beloved animals a deeper acknowledgement of that will make your life and home a better place, and change the way we as a society treat each other and the Earth. Your animals love and believe in you which is why their species made contracts with humanity to open our hearts and teach us. We are all different and unique, as species and individuals, but we are also inexplicably linked. The only question is are we ready to learn? Well, it’s Alexa here, and if the answer is yes, that’s awesome! I know I sure am and even a decade later there is still much to learn from our animals and growing our communication with them. Thankfully we live at a time where the skill that is communicating with animals is striding forwards in leaps and bounds – I can tell you that our animals are definitely excited about it! How do you learn? One great way is to take an introductory (or refresher) workshop to learn the foundation of communicating with animals. This will strengthen your intuitive muscles, build your confidence and give you a chance to meet other animal communication adventurers! We know they are in our lives for a reason, but how do we begin to demystify all the different messages our animals bring through for us? Laura Bird, Animal Healer & Communicator, will discuss the 3 main domestic animal species that have contracts with humanity and how Dogs, Cats & Horses are messengers for different aspects of our journey. The evening talk will focus on sharing insights on what unique alchemy these 3 animals bring, and the basics of how to de-code this wisdom to translate animal messages in your own life. At the Community Farm Store in Duncan, BC on May 19th from 7-9pm. RSVP for this free talk here. This 2 day foundation class with Laura will share the 5 steps of every animal communication exchange and simple techniques to help you with each step. Discover or expand your subtle senses and have your intuition validated and individually coached. Learn basic exercises to shift your brainwave frequency to make the exchange of energetic information more easily, clear your mind, enter your heart and receive insight and understanding. Embrace what is possible when you honour this simple process and realise your deepest hopes for what is possible to share between the species. Held at Firefly Farm in Duncan, BC on May 21-22 from 9:30-5:30pm. Register here. Discover the dynamic approaches used by One Spirit Animal Therapies to influence powerful healing on all levels. Working with the deep fascia of the Central Nervous System (CNS) & Cranium is one of the most fascinating structures when exploring the fascia of the body, both in healing with animals & people. Join us as Laura shares what she uses in her human & animal practice from Energetic/Consciousness, Muscular-Skeletal, CranioSacral & CNS fascia approaches, to assist you to enrich your animal practices. Held at Firefly Farm in the Cowichan Valley on May 23rd from 9:30-5:30pm. Register here.